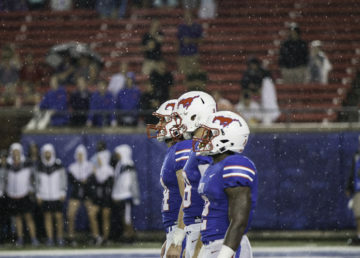 The game day experience is changing, with the Southern Methodist University Athletics Department announcing that the Boulevard is changing, but it is unknown how it will change. 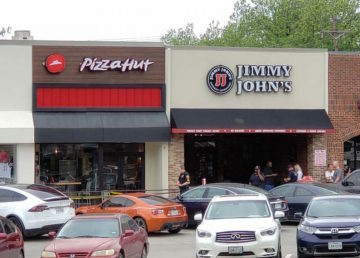 Many of the details aren’t clear, but students had the opportunity to voice their concerns, comments, and suggestions for the Boulevard going forward. SMU’s Student Senate president, Nathan DeVera, was one of the many senators who worked the table. Additionally, I had the opportunity to interview Dr. Kenechukwu Mmeje, Vice President of SMU Student Affairs. “We didn’t talk about it [the Boulevard] all fall,” DeVera said. The first meetings about changing the Boulevard began two weeks after the end of the football season, according to DeVera. According to Taylor Enslin, a first-year student senator, the decision to move the Boulevard came after the students returned from winter break. Shortly thereafter, Dr. Mmeje went to Student Senate to inform the body of the impending change. Currently, there is an ongoing petition to have the changes reverted. It has gained over 1,700 signatures out of its goal of 2,500 which is roughly half of the undergraduate population at SMU. This semester, senator Enslin introduced a bill she co-authored with the SMU Student Senate Speaker Ben Pringler, which opposed the change to the Boulevard. “We passed it as documentation to note the opposition,” DeVera said clarifying the intentions of the bill. DeVera and other student senators like Enslin also made clear that the intention of the bill was not to stand in the way of administration, but rather to take the position of the students on this issue. Reed Wilkerson, a Cox senator, believes that a lot of the unrest and negative publicity for the changing Boulevard is due to its unknown future. This is still recent news to most of the student body as DeVera and only a handful of other student leaders were part of meetings with SMU Athletics. 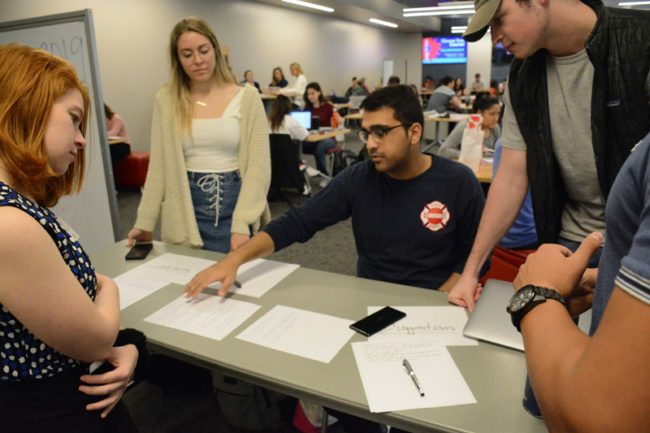 At the table, Student Senate had posted misconceptions in an attempt to educate potential opponents about what the changing Boulevard might entail. However, until further details are released, or a formal plan is finalized, much of the confusion is likely to persist. One thing has become clear from both DeVera and Dr. Mmeje: the alumni tent row will not be moved. Everything above the flagpole will be affected by the changes with the relocation of the Greek life tents. That is the note of optimism that Student Senate is hoping to maintain with respect to the Boulevard. Although the change cannot be prevented, they want to maximize the student experience. Ultimately, that is one of the big motivations for SMU’s Athletics Department with the change. They are hoping that with the addition of the Mustang Mall and the relocation of the Boulevard, it will make it more accessible and incentivize more students to attend the football games. According to senator Wilkerson and other student senators, there is a PowerPoint that contains a solution. I have reached out to the creator of the PowerPoint, Ben Ovenshire, but have not yet received comment on any of the proposed plan’s details. However, Ovenshire is a former student senator, and has been coordinating his efforts with them to brief student organizations on the changes. While it is only a proposed solution, there are no other proposed solutions, as far as the Daily Campus is aware.